Beer and TV, Ep. 164 | Beer America TV - Craft Beer in Motion! 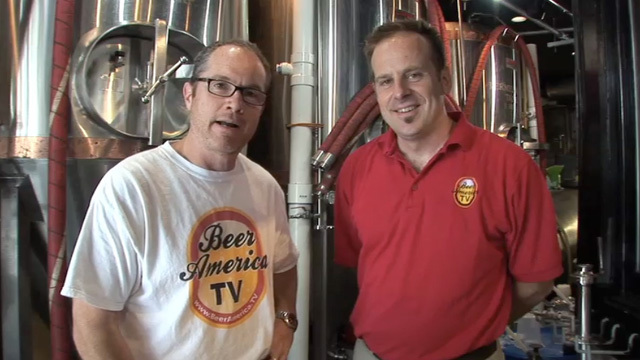 Beer America TV is back, and we’re ready to dish out a few topics for YOU to comment on! This week we’re talking Beer and TV. This is a topic that We’ve actually been attacked over, but feel very passionate about since we’ve been pitching beer shows since 2003!! Like our opinions or not, given our professional firsthand experience on this topic, we think we know why there hsn’t been another beer show since Brewmasters. Don’t believe us? Watch and find out! The point is well taken. The problem with a craft beer television show is that it isn’t just about characters to engage people, but character-driven drama. Drama in some fields is inherent, but more often “reality” television producers have to manufacture that drama by putting people in stressful situations or throwing people together who are like oil and water. “Brewmasters” was fascinating to me as a craft beer lover and someone who finds the whole culture and history interesting. But the drama in the show was almost non-existent and those few parts felt a little forced and made more dramatic with the use of awkward pauses and music. Seeing many barrels of DFH 120 go down the drain made me very sad and the search for a missing foriegn object among many cases of bottled beer was a bummer. But generally, there was nothing to sustain the show. Millions of people aren’t going to go out and try monkey brains boiled in the bowel of an oxen, but the success of shows like “Bizarre Foods” comes from the fact that many people want to be freaked out and a single personality like Andrew Zimmer traveling the world can carry the show. Beer just doesn’t have that factor. Anecdotally, I would say the chicha episode of “Brewmasters” seemed to the be the most talked about partly because it had that combination of exotic destination/cultural history along with the gross-out factor. Any conflict in the craft beer industry in general is so inside baseball and generally done in a civil manner that it wouldn’t hold an audience, much less a large enough segment of the lowest common denominator. The people at the center of the action are never going to air the dirty laundry of the business or disagreements within organizations like the BA. I witnessed no fisticuffs or even so much as a brewer beard throwdown at CBC this year. Any arguments were civilized discussions between intelligent individuals relaxing with beer in hand. A sustainable series would have to have an engaging premise and a schtick without the schlock. I’m hoping your viewers will weigh in with some good ideas. Hey Travis, what an excellent post! You are correct on many levels, I often wondered if Brewmasters was a 30 minute show, could it have been better? It would have been tough to get everything in such a short amount of time, but on the other hand, the manufacturing of sitations inside DFH (spilled glue?) just weren’t compelling enough to hold the mainstream audience. You prove my point however, the next beer show has to be entertaining first (without the schlock) and about beer second. Craft beer is full of characters, so all we need now is a show that wraps them up in a package that will entertain all! Most likely the first successful show will have the drama created by a new, small craft brewery with two A+ personalities heading the place (one the head brewer and the other the business manager) that are often at each other’s throats. Think of the many reality cable shows based on such operations. Conflict seems to be central to these shows, when danger is not a big part of the industry. It came down to advertising dollars and network of family within Discovery Channel. Somehow the beer show needs to provide an element of surprise, with the instruction of a traditional cooking channel or food channel tv show. Pauls point about characters is really about surprise.